Ever been curious to meet your favourite yoga teachers? We caught up with Mimi Kuo-Deemer at the Yoga Garden Party and asked her all things yoga. 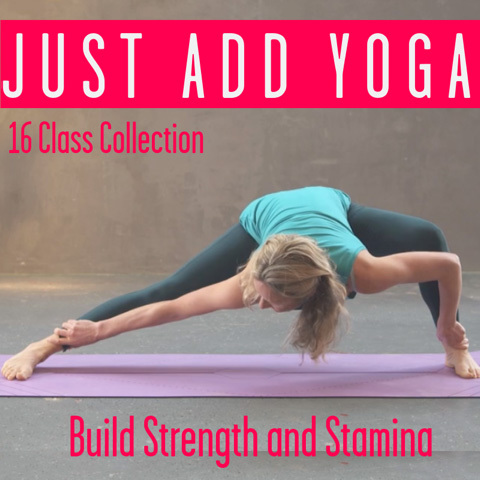 Watch and learn about the roots of modern yoga together with awesome tips to get you moving! Mimi teaches a type of mindful alignment and breath based vinyasa. Vinyasa is a really modern form of yoga. People might trace it back to ideas from T. Krishnamacharya who was the teacher of Pattabhi Jois, Iyengar, Indra Devi and Desikachar. But what he taught is nothing like the vinyasa which is taught today. What Mimi loves about vinyasa is that it is an open platform. Although she teaches a really steady breath alignment based flow she folds in aspects of buddhist mindfulness practices, QiGong and Taoist beliefs. It is an open arena for creativity and expression and ease of movement and integration of the body. Anyone who wants to feel ease would benefit from Mimi’s teaching. She makes the classes accessible to different body types, ages and levels of experience. People who want to move more with intention and feel a wholeness through their practice as well as a fluidity and a softness while building strength and increasing flexibility and range of movement. People who are looking for a more grounded and steady type of practice may also find her classes beneficial. How does Mimi define yoga? You won’t be surprised to learn that yoga means more than one thing to Mimi! Yoking – the word yoga derives from the root word yug in Sanskrit and yug means to yoke and just to yoke together the parts of myself that feel a bit fragmented and disconnected. When i do yoga i feel the fragmented parts of myself come more together and make a whole.. I feel my body, my breath, my mind, my spirit come more together as me. The breath is the bedrock of Mimi’s practice. The breath carries the movement and the breath is the expression of all of life. Breath is like a microcosm of our natural tendencies in nature to expand and contract. Just as the sun rises and sets, the moon changes in its phases and the tide comes in and out, so does the breath come in and move out. It offers, not only that sense of expansion and contraction in support of movement, but also a space for the mind to come back to. The breath creates a meditative quality and a level of awareness to come home to. Tips to get started when time’s too short! Movement as a treat: For people who find it hard to get on the mat at home and do some yoga or QiGong or any kind of movement based practice just say, “Give yourself a treat, give yourself that time”. Find a beautiful metaphor: It’s like the 2 wings of a bird. Every bird has a wing of effort and a wing of grace. So when you give the effort, the other wing rises up to meet it and you’ve got these 2 wings to carry you through to a more lively and awake life. 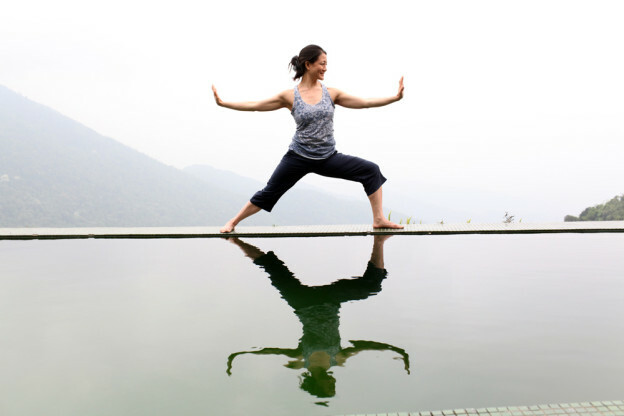 This blog was extracted from an interview with Mimi Kuo-Deemer at The Yoga Garden Party. 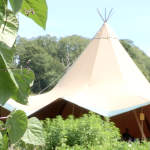 This fabulous annual charity event raises funds for The Hope Foundation and gives yoga lovers an opportunity to get together and share their practice. This entry was posted in Our Teachers and tagged articles, balance, movement, teachers, yoga, yoga anywhere, yoga teacher on December 20, 2015 by Edith Johnson.